Holding true to the last release cycle, Apple has released a slew of new betas, with iOS 10.3.3, watchOS 3.2.3, tvOS 10.2.2, and macOS Sierra 10.12.6 all available for developer testing. No significant release notes accompany the new beta software releases. So far, all of the releases appear to only contain bug fixes and minor revisions to problems introduced with Monday's more major updates. Registered iOS devices can acquire the latest beta through the regular upgrade process, or through iTunes. 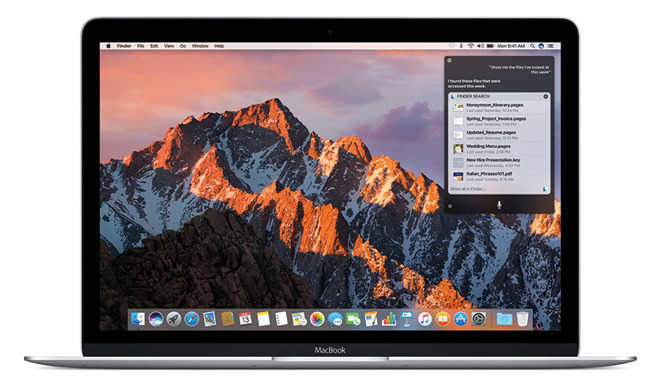 The macOS Sierra 10.12.5 beta is available through software update for registered devices, or as a stand-alone download through the Developer's portal. While the iOS and macOS Sierra betas will ultimately see release to public beta testers, the watchOS and tvOS betas won't. The macOS Sierra 10.12.6 beta is labeled with build number 16G8c, with iOS 10.3.3 beta 1 tagged with number 14G5028a. WatchOS and tvOS are builds 14V5726a and 14W5276a respectively. Monday's full release of macOS Sierra 10.12.5 rectified problems with USB audio playback, and allowed "media-free" installation of Windows 10 Creator's Update through Boot Camp. the iOS, tvOS, and watchOS updates were minor, bringing only bug fixes and security updates.